Looking for living room inspiration? We’ve got 9 unbelievably gorgeous living room inspiration for you. 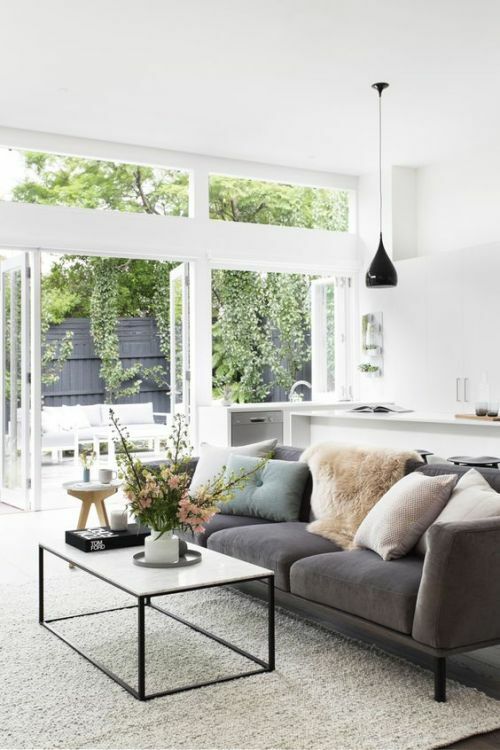 There are many styles to choose from for your living room, but actually finding one that suits your budget and preference can be a needle in a haystack. 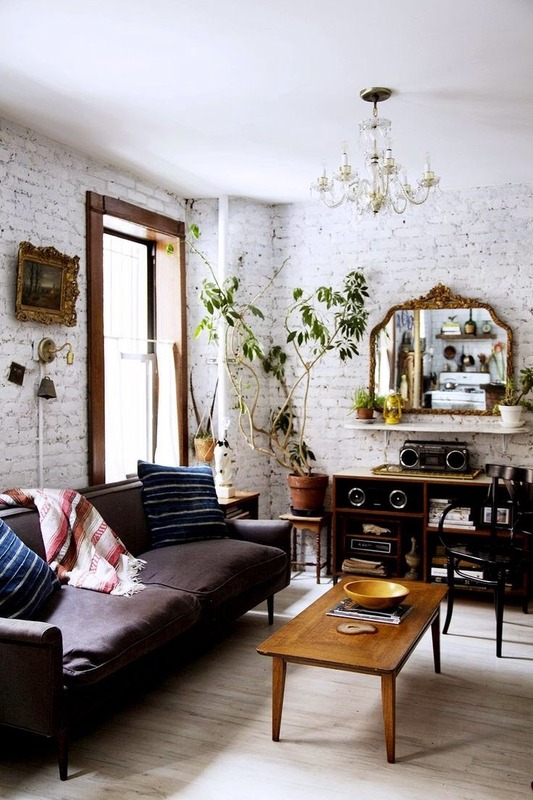 Do you like industrial or a mix of boho chic? Knowing which style fits you and your designated room best will be a factor to your room’s polished look. 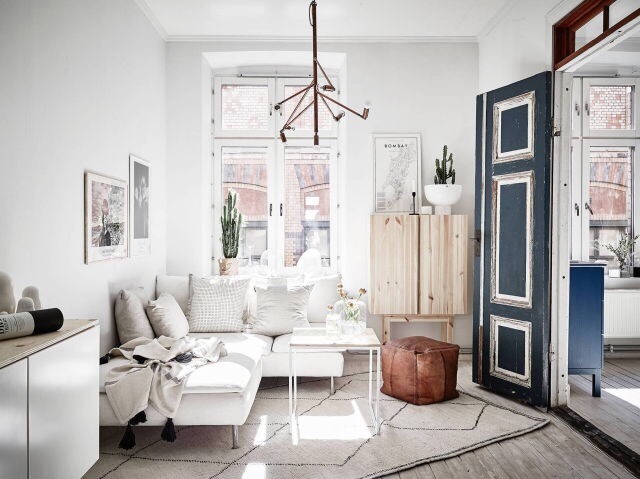 The combination of brass and blue in this quaint living room is a great look for any rugged space that needs a little class. Set on the backdrop of a white brick wall with natural plant accents, anyone needing a well deserved break ought to consider this style. Add some terra cotta pots and copper accents and you’re good to go. If you’re looking for a more chic living room inspiration, this contemporary tribal living room is for you. With its hodge podge of patterns, you can never go wrong with its well-woven palette. Although the main color scheme here is neutral, the wooden and tribal accents create a bright difference inside the room. 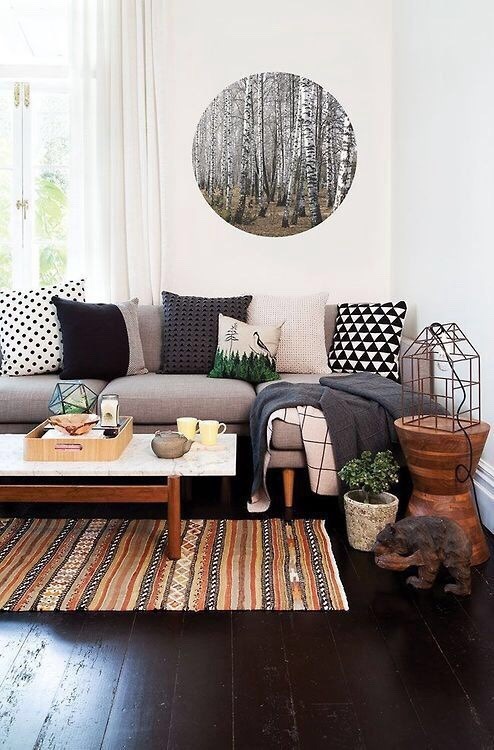 We love how the geometric print on the pillows is reflected by the wire home decor by the end table. And don’t forget the woodland print on the wall! How lovely is that one? We all want a spectacular view for our home. This one’s no exception. 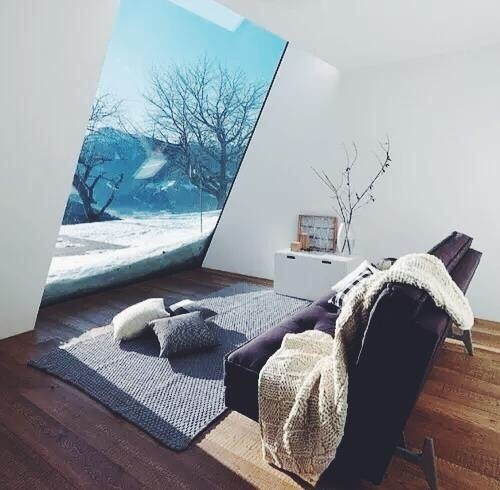 The slanted window makes this a very interesting interior. If you’re searching for the right living room inspiration, this one could be for you. It is well-lit and ventilated with a comfy lavish sofa that doubles as an extra bed. It’s ideal for studio dwellers who have limited space and budget. White and blue can be a cold choice for a living room, but this living room inspiration might just break the ice to any gathering. The L-shaped couch is a good place to catch up with family and friends while the blue door adjacent to the kitchen and dining is a good conversational piece for any homeowner. This living room inspiration will remind you of a weekend getaway at the Hamptons. With its elegant brass-laden glass coffee table it’s a feature that will capture the attention of anyone who enters the room. The fireplace also adds a touch of robust warmth in the space. 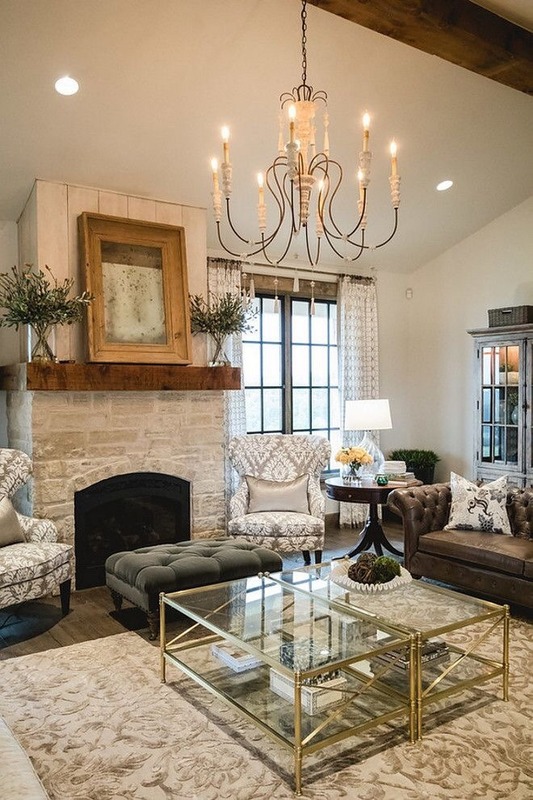 Next to it is the tufted Victorian couch and ottoman, signaling some relaxation for any homeowner who wishes to embody this style into their home. For women who are looking for a feminine domain, this quaint pink living room inspiration will surely appease you. 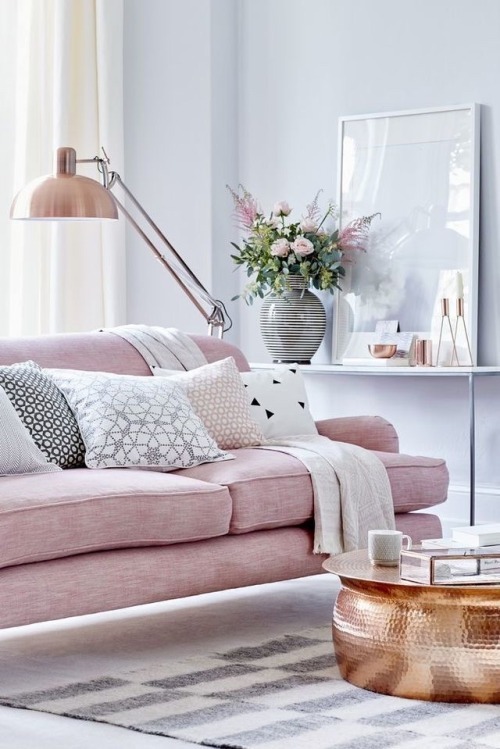 There’s a round copper coffee table beside a rose sofa perfect for lazy Sunday mornings. The white walls allow the sunlight to come through, making the room crisp and bright. Like a little bit of country style? This suburban cottage will be your home away from home. 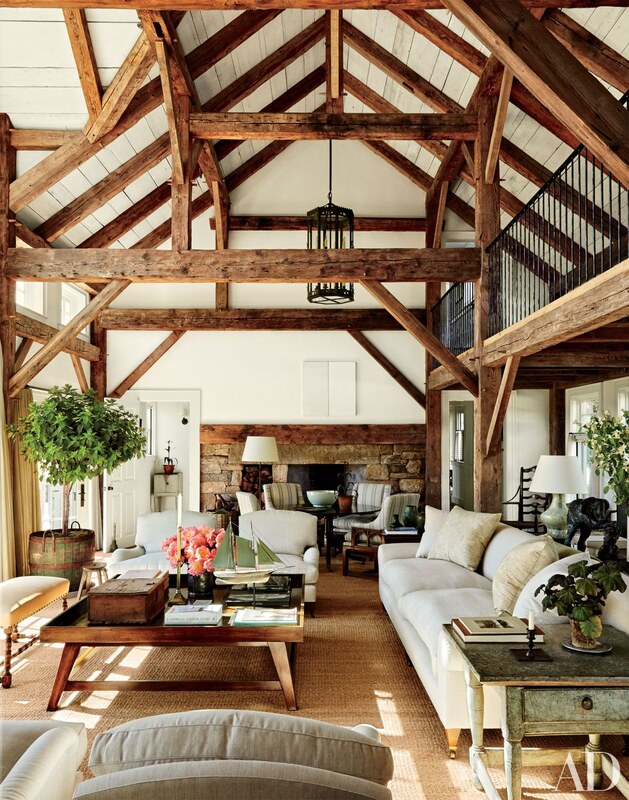 Its wooden trusses make for a beautiful high ceiling. While keeping the cottage in old style, the cream fabric of the furniture helps create a fresh look to contrast the weathered appeal of the wood. A great interior designer knows how to layer any indoor space through fabric and materials. This living room inspiration is a perfect example. Made up of different textures and colors, it creates a cozy ambience any dweller would love. The wide windows and glass materials used for the stair ballustrade and second floor walls also make up for the room’s dark color scheme. If your space is burdened by a dark heavy couch, you can always use white wall paint to brighten up the space. In this interior, you can see that the focal point is the sofa with mildy colored throw pillows and a fur blanket. It’s supplemented by keeping it simple with the minimalist coffee table. Allowing your space to have natural light can do wonders for your interior and your health – not to mention that it is also cost-effective. 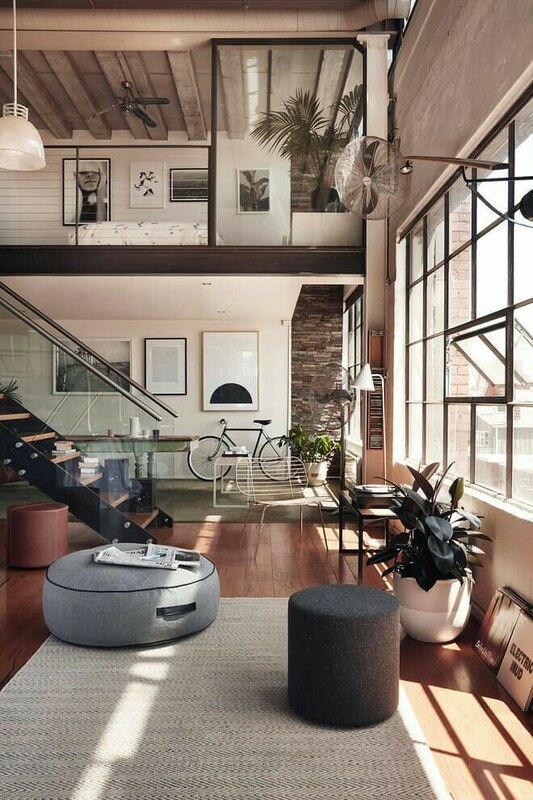 Try adding plants on the coffee table and by the windows, it is said to have a positive psychological impact when there are plants around the room.